You have way less platforms to work with so you will need to strategize on which platforms to remove. 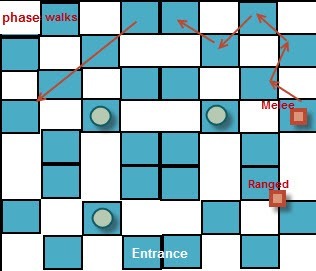 Melee/tank tend to get the outer ring of platforms while ranged move on the inner platforms. 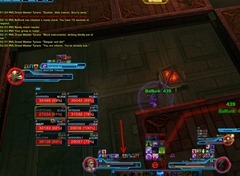 When you get Simplification now, you need to drop down to remove a ticking debuff by clicking on the pylon below. Failure to do so in a timely manner is an instant death. Inferno now lands on every member of the raid. Raid need to stack together and drop Inferno in the same spot to maximize the amount of useable space. 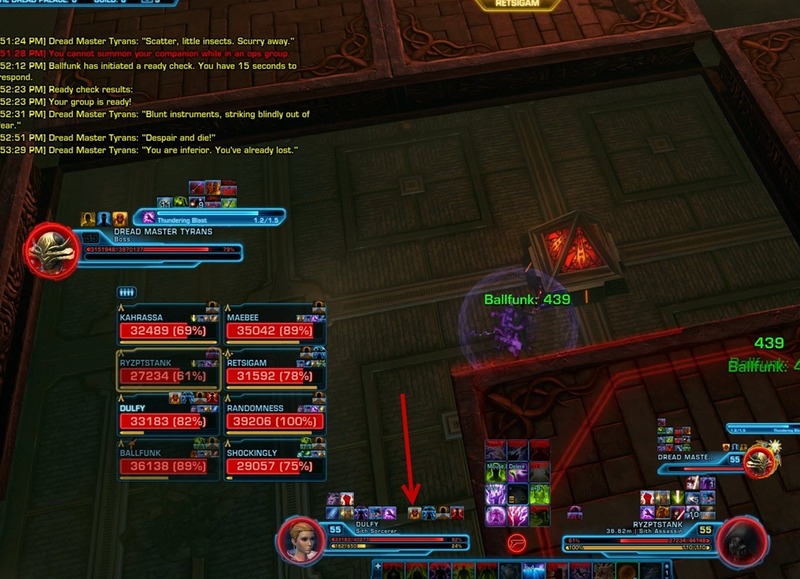 Having 2 heals with a 3rd person being a healer/dps hybrid would help in times when both healers get simplification. 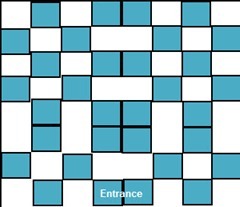 This is a map of what the platform looks like on Nightmare Tyrans. Feel free to save the image and doodle over it for your own guild or use this google doc created by Keyboardninja. We start off with the ranged in the back between two squares while the melee stack on the outer platform. 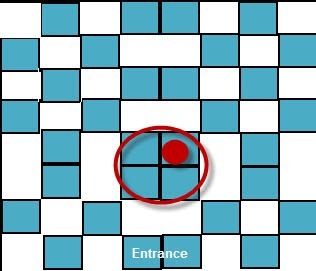 The ranged position allow one to simply move back to remove the platform to the bottom right if one gets Simplification to remove a platform. 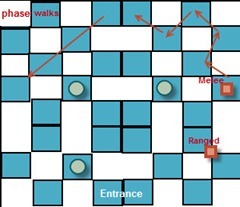 The melee, shown with red arrows, will be mostly taking out the platforms on the outer edge while assassins/shadow tanks can place their phase walks in the upper left corner to take out these platforms. Platforms marked with green circles are ones you tend want to save as they allow the ranged to move across better after jumping down for simplification. Having the tanks and melee on the other edges prevent Thundering Blast from hitting rest of the raid if the boss is positioned properly. 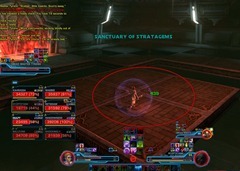 The square platform in the middle is usually where players teleport up to after jumping down to remove the simplification debuff. These platforms are the ones you tend want to leave up and keep free of fire from the Inferno. 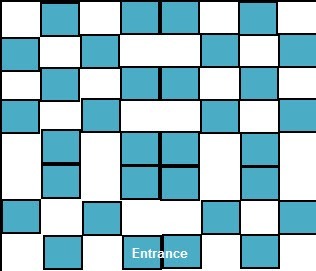 The top right square especially is where you will get ported to unless it was destroyed. 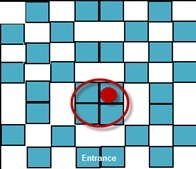 Simplification, like both, is placed on 3 players. The tank will get it first, followed by 2 more players. 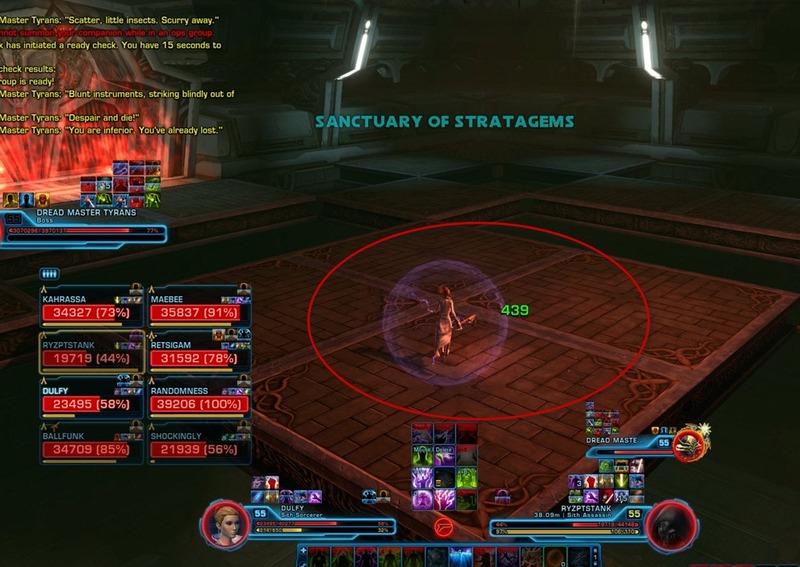 If you have an assassin/shadow tank, they can phase walk the moment they see simplification is being cast to one of the odd platforms on the corners that your raid won’t use (i..e those on the top left corner) and take one of them out. 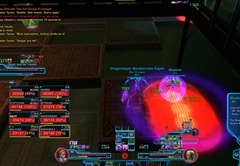 Simplification now cast a debuff on you that lasts for a few seconds. 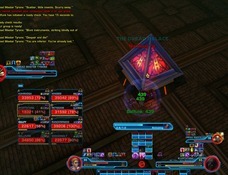 You must remove this debuff by jumping down and clicking on the pylon below to remove it. This will also port you back up. You do take a falling damage of about ~14k when you jump down so be prepared to have sufficient health to survive the jump. 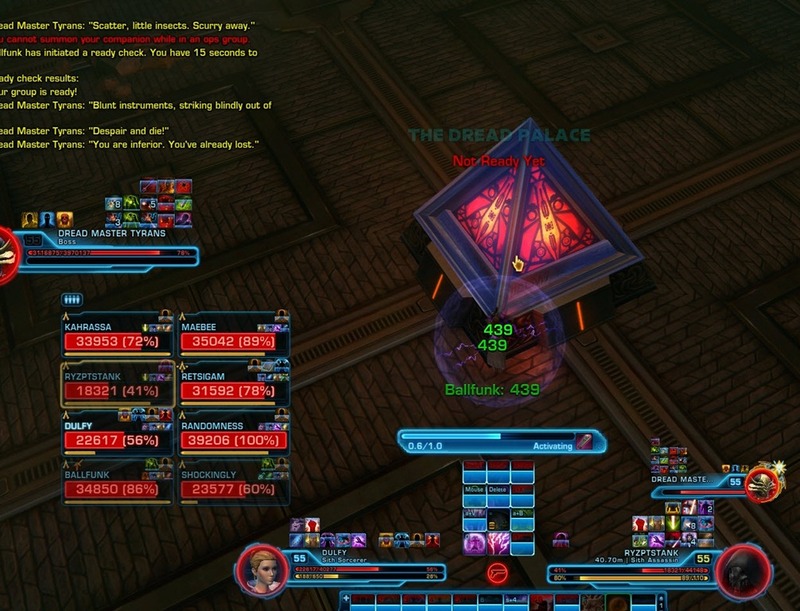 If you fail to remove the debuff before the timer, you will be killed instantly. Inferno follows after every Simplification and it will now affect every raid member. To conserve space and make sure players do not run into each other’s fire, we have everyone stack on the outer edge of each platform (the side that is closest of the walls of the room) and just move to the left once all the Infernos are dropped. Not everyone’s Inferno will be dropped at the same time but there is a slight delay before the fire comes out of the inferno circles that allow you to sync them together. If you do happen to get Simplification, becareful where you drop your Inferno and do not drop it on the platform where you get teleported to. If you do so, the next person coming up from Simplification may teleport directly into your fire and die. Healing on this fight can be a challenge due to all simplifications. 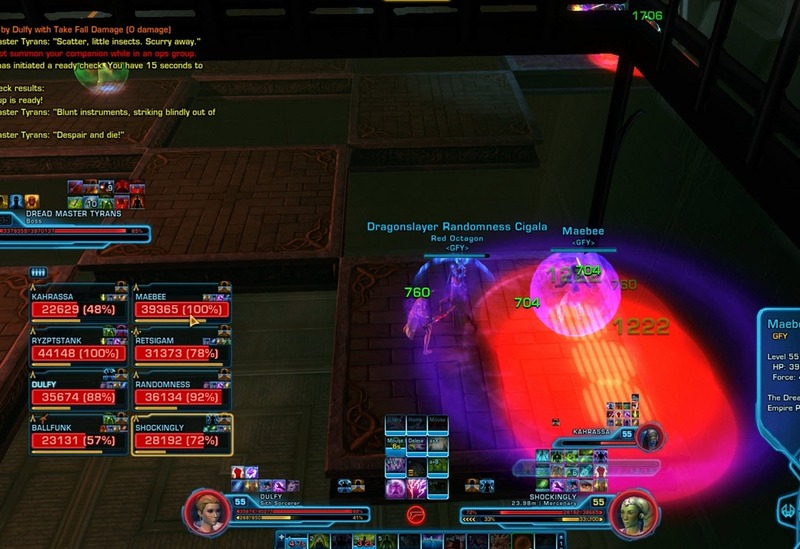 You may find it easier with a hybrid DPS/healer that can backup heal when the healing gets a bit intense (i.e. 2.5 heals and 3.5 dps). Having a healer stacking with the melee may also help. I haven’t done this fight since the bugged DP SM/HM but isn’t falling down a fixed HP%? In our case it didn’t matter who dropped down. It always took 33%HP (which is indeed about 14k damage on average). Yes it is a % based but I just gave a damage number incase you want to know approximately how much HP you need to survive the fall for nontanks.